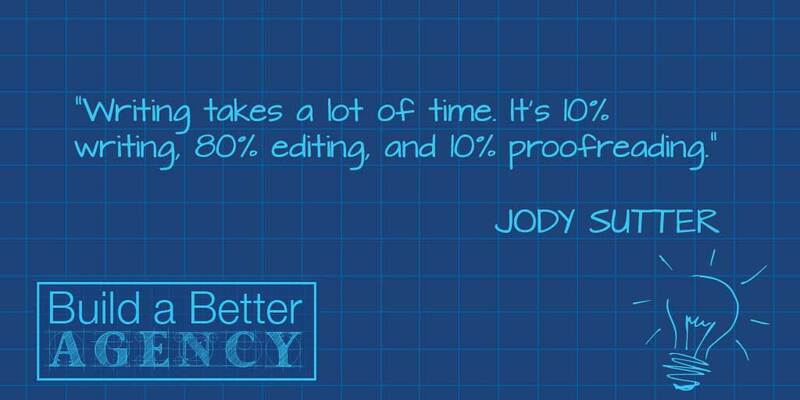 Build a Better Agency Podcast: Episode 28: Your Words Tell Your Agency’s Story, with Jody Sutter. Jody Sutter started her career in sales and ended up working in agencies leading the new business teams. Today she runs The Sutter Company, a business development consultancy. She spends a lot of time working with agencies to take a more proactive approach to growing their business with a special emphasis on how they communicate and tell their unique story.